I came to faith in Christ in middle school through the ministry of Youth for Christ. I remember asking for an NIV Study Bible for my birthday (which I think surprised my parents at the time). The 1984 edition had just recently came out. So this version is the “heart language” of the scripture that I know. On February 28, 2013, it was a day of morning for me and others when Biblica removed the 1984 edition from all websites and digital apps. As technologies have changed, I am more digital and now read the Bible mostly in digital format. Thankfully, I had purchased the 1984 edition from Laridian many years ago and will continue to have access to it through PocketBible. However, there are other friends who did not have a digital copy and had relied on biblegateway.com and other on-line resource for digital access to the scriptures. 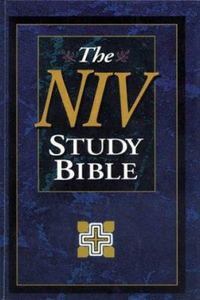 Thanks to the Internet Archive, we still have access to the text of the NIV 1984! You can’t search through it, but you can browse to the passage that you want. I have made a short URL to the biblegateway page which lists all the books of the NIV 1984 edition. Enjoy!